Ludwig Wittgenstein said: "The limits of my language mean the limits of my world". If used right, the English language can be one of the most effective tools you can possess during your life. 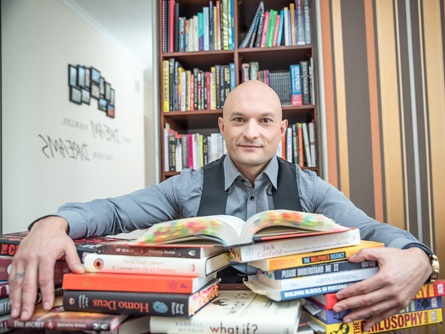 I teach my clients and students real-world English and how to improve their personal and professional lives as well as gain knowledge which isn't available in Polish. The Goal is for you to think in English not just speak it. I have developed a system which has been tested and perfected over the last 8 years with Polish people. All you need is motivation. Let me worry about the rest. Contact me to assess your level, your expectations, and your desired aims. I agree to the processing of my personal data for purposes and scope consistent with the implementation of the response to the query. I know that I can withdraw this consent at any time. © Copyright Dominik Stanecki | All right reserved.